The significant inter-decadal change in potential predictability of the East Asian summer monsoon (EASM) has been investigated using the signal-to-noise ratio method. The relatively low potential predictability appears from the early 1950s through the late 1970s and during the early 2000s, whereas the potential predictability is relatively high from the early 1980s through the late 1990s. The inter-decadal change in potential predictability of the EASM can be attributed mainly to variations in the external signal of the EASM. The latter is mostly caused by the El Niño–Southern Oscillation (ENSO) inter-decadal variability. 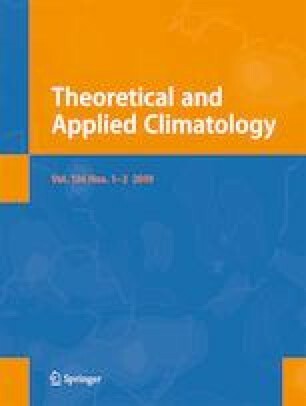 As a major external signal of the EASM, the ENSO inter-decadal variability experiences phase transitions from negative to positive phases in the late 1970s, and to negative phases in the late 1990s. Additionally, ENSO is generally strong (weak) during a positive (negative) phase of the ENSO inter-decadal variability. The strong ENSO is expected to have a greater influence on the EASM, and vice versa. As a result, the potential predictability of the EASM tends to be high (low) during a positive (negative) phase of the ENSO inter-decadal variability. Furthermore, a suite of Pacific Pacemaker experiments suggests that the ENSO inter-decadal variability may be a key pacemaker of the inter-decadal change in potential predictability of the EASM. We acknowledge the helpful suggestions from the anonymous reviewers. We thank NCAR CESM for providing the Pacemaker experiment data (http://www.cesm.ucar.edu/experiments/). The reanalysis data including atmospheric fields was available at https://www.esrl.noaa.gov/psd/data/gridded/. The ENSO episodes come from the Climate Prediction Center (http://www.cpc.ncep.noaa.gov). We also thank the ERSSTv3b data that is obtained from https://www.esrl.noaa.gov/psd/data/gridded/data.noaa.ersst.v3.html. This work is jointly supported by the National Natural Science Foundation of China for Excellent Young Scholars (41522502), the National Program on Global Change and Air-Sea Interaction (GASI-IPOVAI-03; GASI-IPOVAI-06), and the National Key Technology Research and Development Program of the Ministry of Science and Technology of China (2015BAC03B07).